I recently bought the Tarte EmphasEYES Amazonian Clay Trio Palette because I thought the colors were gorgeous! The trio includes the colors: Shimmering Light Pink, Shimmering Sand, and Shimmering Cocoa. If you have never tried Tarte eyeshadows, they are extremely creamy and pigmented (of course lighter shades are going to be harder to see because they are more of a sheen but are definitely buildable). 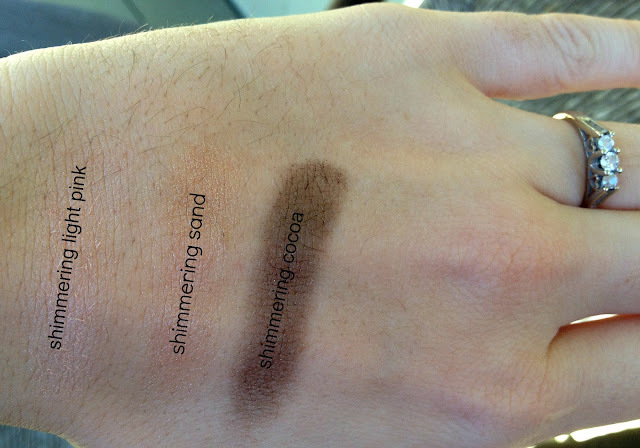 I will post a picture of the swatches below. The packaging is super cute as well! 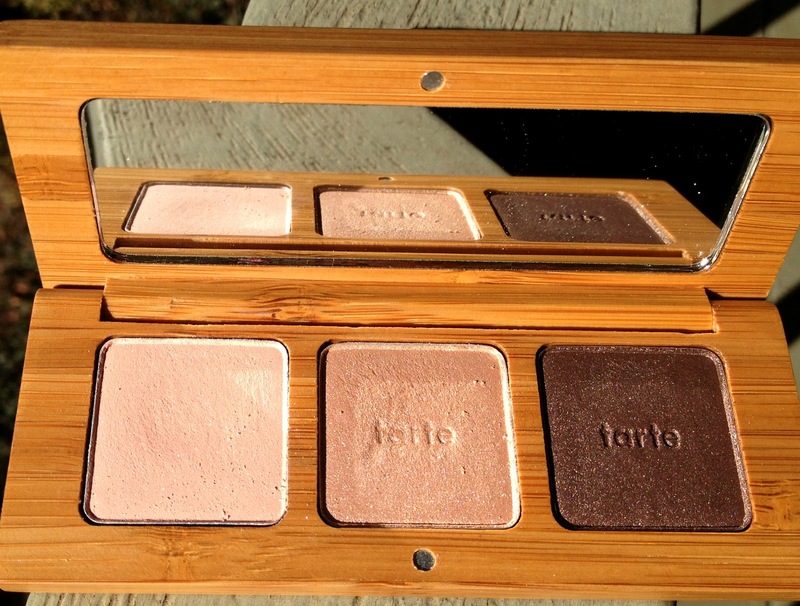 It looks like faux bamboo and has a decent sized little mirror for a great on the go palette. 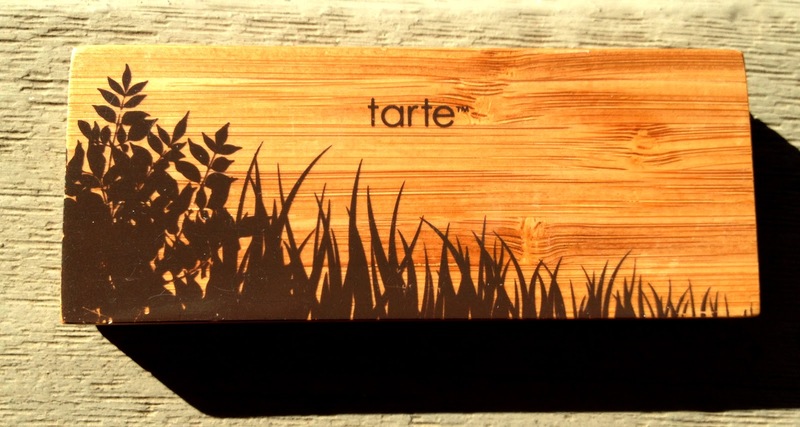 I actually bought my palette off eBay because I got a great deal on it but you can also check out Tarte's website to search through their products. Check out their website here. 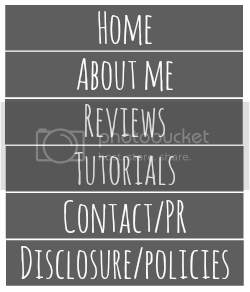 Disclaimer: All reviews are my own honest thoughts and are not influenced in any way. 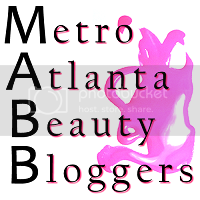 I am not affiliated or linked to any of the brands mentioned in this blog. This was purchased by me!